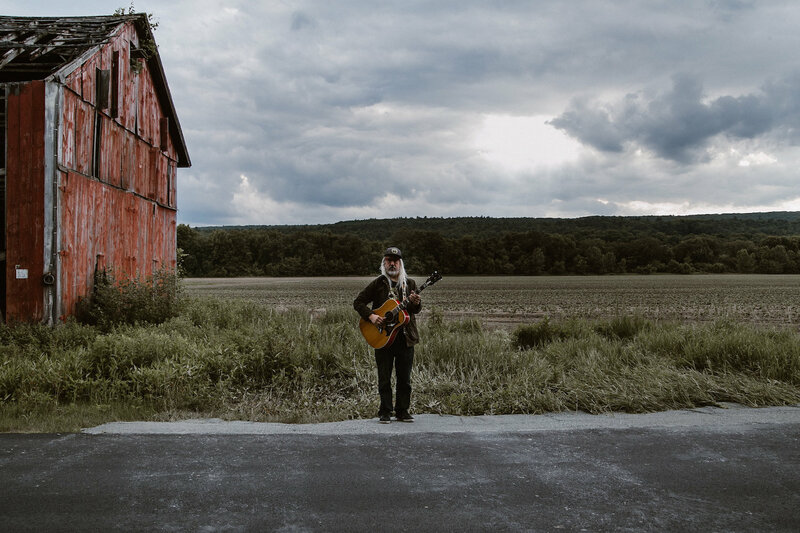 Former MAGNET cover star, Dinosaur Jr frontman and guitar god J Mascis will release third solo album Elastic Days on November 9 via Sub Pop. As with previous efforts, the dozen-track LP is mostly Mr. Mascis all by his lonesome, though Pall Jenkins (Black Heart Procession), Mark Mulcahy (Miracle Legion) and Zoë Randell (Luluc) stop by to lend their talents … The debut album from British buzz band Pale Waves is out September 14 via Dirty Hit/Interscope; catch them on their North American tour supporting My Mind Makes Noises starting in October while they’re still playing smaller venues … Iron & Wine follows up last years’s Beast Epic on August 31 with the six-song Weed Garden EP (Sub Pop), which features songs written at the same time as the tracks on the Grammy-nominated LP … Fucked Up has joined the already amazing Merge roster and will issue Dose Your Dreams on October 5; yes, it’s a double album and David makes an appearance … The same day, Merge is also issuing Fall Into The Sun by Swearin’ … Also on Rocktober 5, MAGNET fave Phosphorescent returns with C’est La Vie (Dead Oceans), Matthew Houck’s first proper record in half a decade … Please, 10/5, stop the madness—Kristin Hersh‘s Possible Dust Clouds is out on Fire that day as well … Calvin Johnson (Beat Happening, Dub Narcotic) has always been an outsider artist, so he’s issuing A Wonderful Beast (K)—his collaboration with Patrick Carney (Black Keys)—a week later on October 12 … My Morning Jacket axe master Carl Broemel will release third solo album Wished Out (Stocks In Asia/Thirty Tigers) on September 21 … Adult. has signed to Dais, which is releasing new album This Behavior on September 7 … The soundtrack to Blaze, the Ethan Hawke-directed/co-written biopic about infamous Texas songwriter Blaze Foley, is out September 21 on Light In The Attic, featuring acting newcomer Ben Dickey channeling the late Foley onscreen and in song… Whitey Ford’s House Of Pain is Everlast‘s first new album in seven years, out September 7 on Martyr Inc … Also on September 7, Secret Sun will issue Jesse Harris‘ Aquarelle … The Trip Home (Tiny E, September 28) is the new album from the Crystal Method and the first to feature only Scott Kirkland now that Ken Jordan has retired from music … Sleaford Mods‘ new self-titled EP is out September 14 on Rough Trade … Strange Conversation (Dame Productions, September 21) is the latest from Mandy Barnett, featuring songs written by the likes of Tom Waits, Lee Hazlewood, Neil Sedaka and Andre Williams as well as a duet with John Hiatt … Out now is Know. (Atlantic), Jason Mraz‘s first new album in almost five years … Also out now courtesy of Atlantic is Pretty Woman: The Musical (Original Broadway Cast Recording), featuring songs penned by Bryan Adams and Jim Vallance. OK, now we’re gonna cop a squat.